As independent brokers, we can contact numerous insurance carriers on our clients’ behalf. This allows us to get the best rates and the lowest possible premiums for our clients. Steve has over forty years of experience in the insurance industry. He received his Bachelors and Masters degrees in Mathematics from New York University and his Chartered Life Underwriter degree (an advanced insurance degree) from The American College. 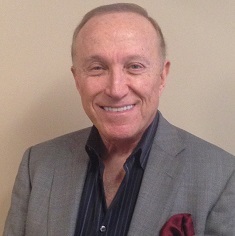 Steve has been a member of the Top of the Million Dollar Round Table for over twenty years, placing him among the top 1% of insurance producers in the world. Steve’s relationships with the country’s largest insurance companies allow him to obtain the best possible products for his clients. His expertise is in helping clients keep more of what they earn, either for retirement, or to pass on to the next generation. As President of Wechsler Associates, Inc., Jared provides financial solutions to the challenges faced by owners of small businesses, professionals, executives, and other affluent individuals. Jared’s clients benefit directly from his 16 years in the insurance industry, as well as his firm’s 45 years of experience. 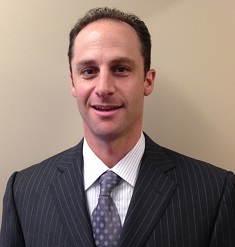 He has considerable expertise in the areas of estate planning, business planning, pension plans, and life insurance. Jared specializes in helping clients keep more of what they earn, either for retirement, or to pass on to the next generation. Jared has been a member of the Million Dollar Round Table for 13 years and is a member of the Top of the Million Dollar Table for 7 years. Jared was born in NY and received his B.A. in Marketing from Syracuse University. He lives in New York with his wife, Jodi and their twins, Joshua and Jessica. Jared enjoys golf, hockey, snowboarding, basketball and spending quality time with his family.